Kylie Jenner has a billion dollar beauty empire with Kylie Cosmetics, but one thing that you won't find in her offerings is perfume. Soon, though, the youngest Kardashian-Jenner will be releasing her own scent, in collaboration with Kim Kardashian's KKW Fragrance brand. While first Kardashian teased the collaboration back in October, it became even more official when the 16th season of Keeping Up With the Kardashians aired. In the first episode of the season, Jenner and Kardashian gave viewers a sneak peek of the bottle Jenner's scent will be housed in. For Salvador Dalí fans, the bottle may look familiar. It consists of a pair of lips, inspired no doubt by Jenner's now-signature feature, which became the basis for her enormously successful cosmetics line. The lips are based on Jenner's own, according to the sisters, and were created with selfie potential in mind. “What we found online is that this [bottle size] looks obviously better on your counter, and I feel like it’s even cuter for people to take pics like this,” Kardashian says on the show. Before there were Jenner's lips, though, there was the Spanish surrealist's obsession with lips. Outside of painting them, Dalí created an entire perfume bottle that consisted of lips (as well as a nose), taken from his painting Apparition du Visage de l'Aphrodite de Cnide. They housed a scent that he released in 1983, which was a tribute to his wife. 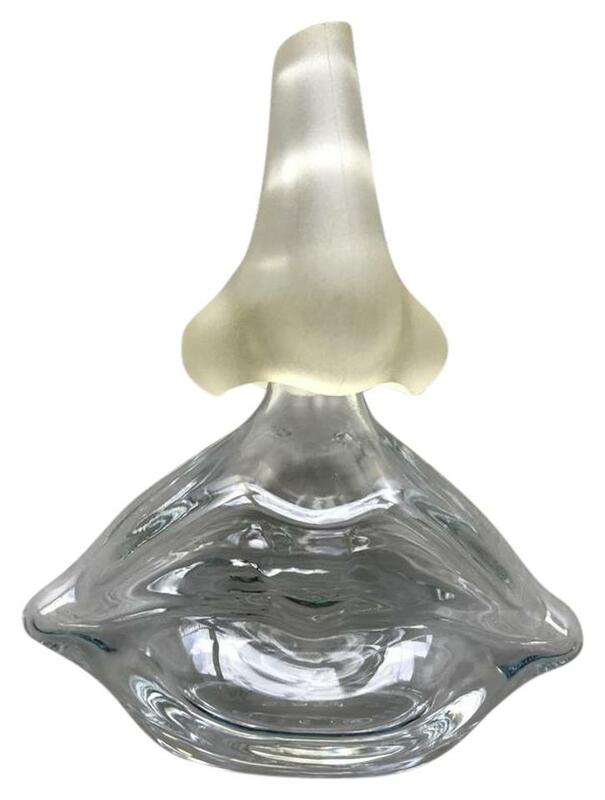 Whether intentionally inspired by Dalí or not, this wouldn't be the first time KKW looked to other perfume bottles as a starting point. Last Spring, Kardashian had a mold of her body taken to be used as the silhouette for her fragrance, a look that Jean Paul Gaultier pioneered in 1993. She, along with her sisters, have since ushered in a Jean Paul Gaultier renaissance by wearing his pieces, though, so there doesn't seem to be any hard feelings.